The Spring number of The Book Collector will be a special issue on the theme “Ian Fleming & Book Collecting”. Fleming was the publisher of The Book Collector from its start and its principal shareholder from 1955 until his death. Spring 2017 marks the 65th anniversary of the magazine’s launch, and the first anniversary of The Book Collector’s reversion to the Fleming family, after 50 years, in the person of James Fleming, the novelist’s nephew. Contributors to the issue will include Fergus Fleming, editor of Ian Fleming’s letters, on “Ian Fleming and The Book Collector”, Joel Silver, Director of the Lilly Library, Indiana University, on “Books That Had Started Something: Ian Fleming’s Book Collection”, and Nicolas Barker, for 50 years Editor of The Book Collector, on his former editorial colleague, “Percy Muir: Ian Fleming’s Bookseller”. 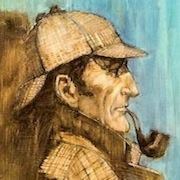 Jon Gilbert, compiler of the prize-winning Ian Fleming: The Bibliography, writes on “Collecting Ian Fleming”, and Sheila Markham interviews two Fleming collectors, Michael L. VanBlaricum and Jeremy Miles. 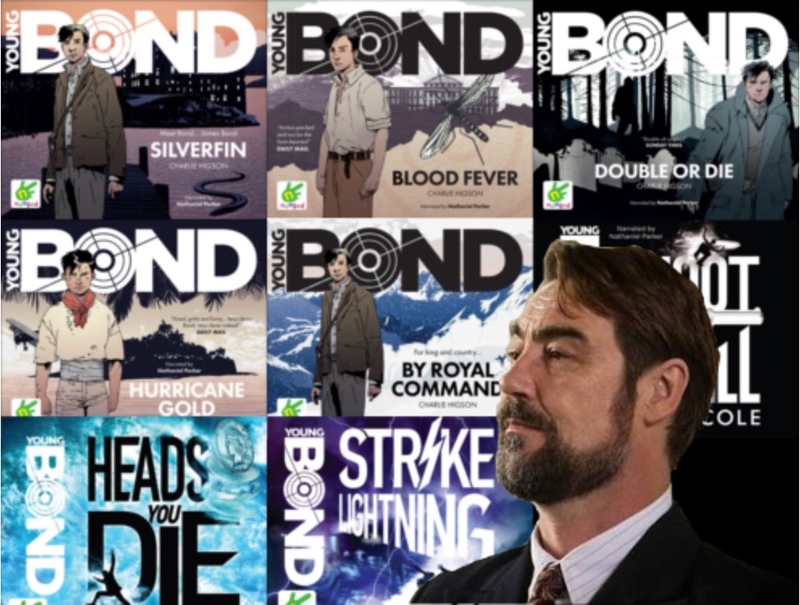 Other contributions consider Ian Fleming’s friend the typographic designer Robert Harling, who too was a novelist, Richard Chopping, designer of most of the James Bond dust-jackets, and the output of Fleming’s publishing imprint, the Queen Anne Press. 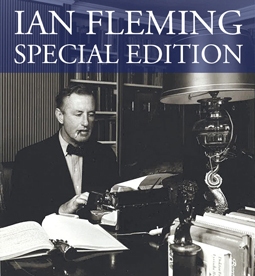 All who are subscribers on February 26th 2017 will automatically receive a copy of the Ian Fleming Special. There will also be a limited edition for collectors set on hot metal and signed by James and Fergus Fleming. For more details and to subscribe visit The Book Collector online. Dynamite has announced a new James Bond "oversized special" titled SERVICE due out in May. Below is the cover and press release. 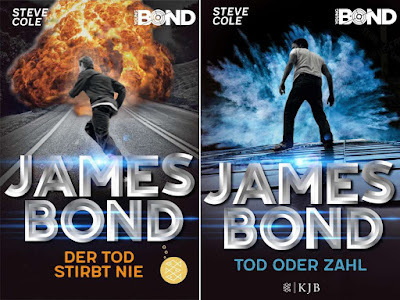 IN ALL-NEW, OVERSIZED JAMES BOND SPECIAL! 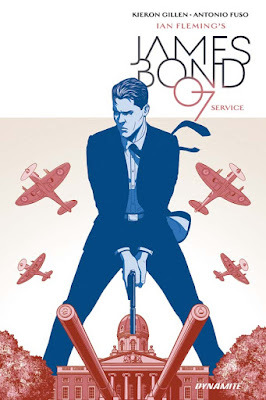 DYNAMITE WELCOMES GILLEN AND ARTIST ANTONIO FUSO FOR JAMES BOND: SERVICE, COMING THIS MAY! Thanks to Stephan Backman's James Bond The Secret Agent blog. 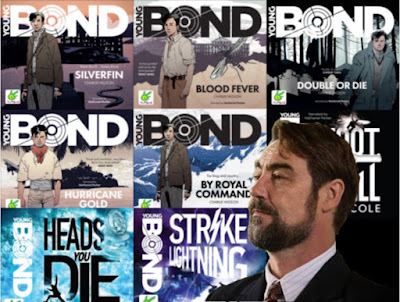 The official Ian Fleming website has an interview with Nathaniel Parker, the stage and voice actor who has narrated all the Young Bond audiobooks. Click the headline to read. 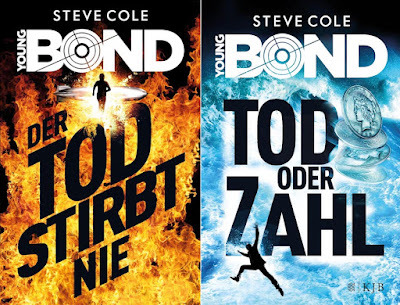 Parker will be narrating the next Young Bond, Red Nemesis. 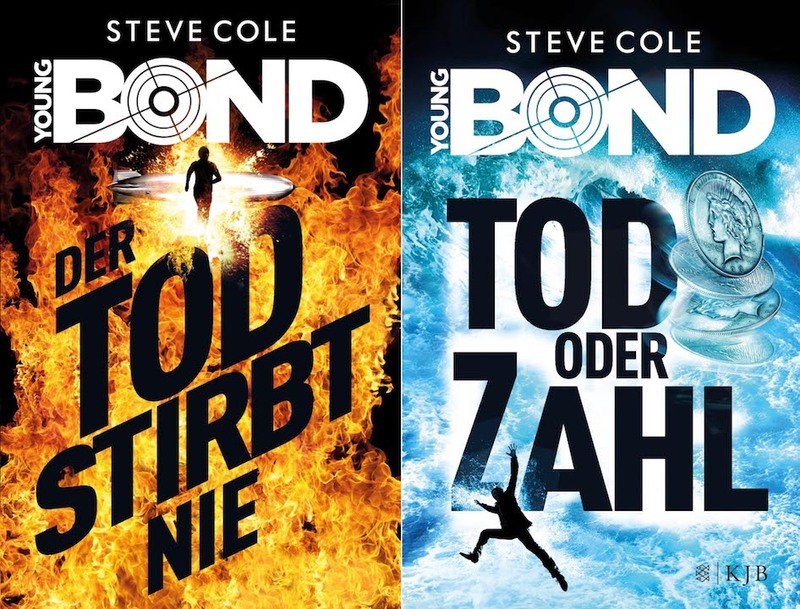 Author Steve Cole reports on twitter that his fourth and final Young Bond novel Red Nemesis is off to the printers. 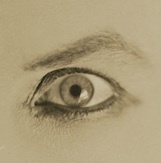 He also shared a new image. Red Nemesis will be released on May 4, 2017. You can pre-order the paperback and limited edition hardcover on Amazon.co.uk. 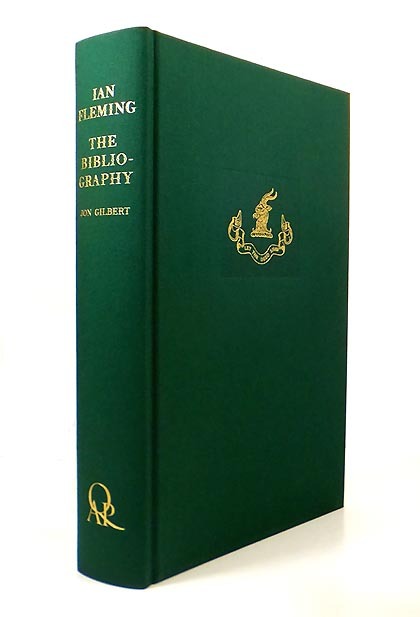 The Queen Anne Press has released a newly revised 2017 edition of Jon Gilbert's monumental work, Ian Fleming: The Bibliography. London: Queen Anne Press, 2017. Royal quarto, with black and white illustrations throughout plus four suites of eight colour plates. Set in Albertina type and printed in two colours. Elegantly bound in full green cloth with gilt lettering and ornament. SIGNED by the author. A comprehensive guide to the work of Ian Fleming by Jon Gilbert, an expert on the literary James Bond, covering everything from the first draft of "Casino Royale" in 1952 to editions still in print today. Published by Queen Anne Press, the imprint once managed by Ian Fleming, the book includes a preface from his nephew Fergus. New book, sold at the published RRP of £175. Our price includes global shipping. First published in 2012 and having rapidly sold out, this award-winning bibliography is now back in print; the 2017 edition features some textual revisions and a handsome new binding of 'racing green' cloth, as used for the publisher's limited edition 'Chitty Chitty Bang Bang'. You can buy Ian Fleming: The Bibliography at Amazon.co.uk and Adrian Harrington Rare Books. Double O Section has the scoop on a special signed edition of Trigger Mortis by Anthony Horowitz from Easton Press. Unfortunately, due to an asinine new law, the book cannot be shipped to California, so this one won't be finding its way onto my own shelf. 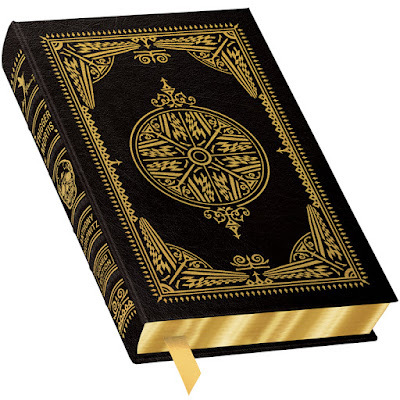 For more info and to purchase head on over to Easton Press.